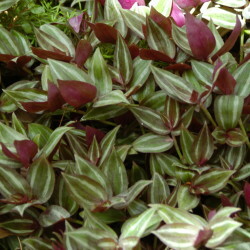 The Inch Plant is a creeping or trailing plant, native to Mexico. 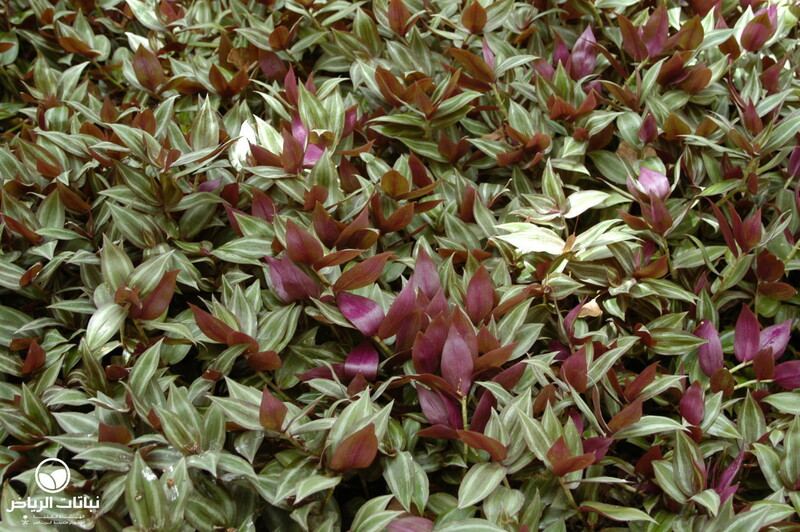 A relatively common houseplant, it makes an excellent groundcover for gardens and grows well in shaded, humid and protected locations in Arriyadh. 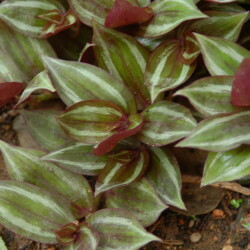 Growing to a height of up to 30 cm, the plant has fleshy, ovate leaves which are dark green with silvery-white stripes on top, giving an attractive zebra pattern, and magenta-purple below. 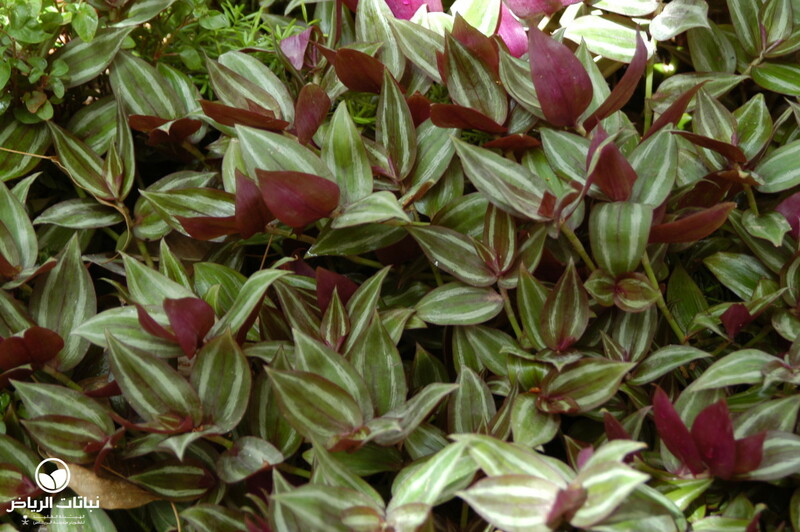 Fast growing, the succulent stems root wherever they touch the soil, creating a thick mat of colourful foliage. Small, relatively insignificant, rose-pink flowers are produced throughout the year. 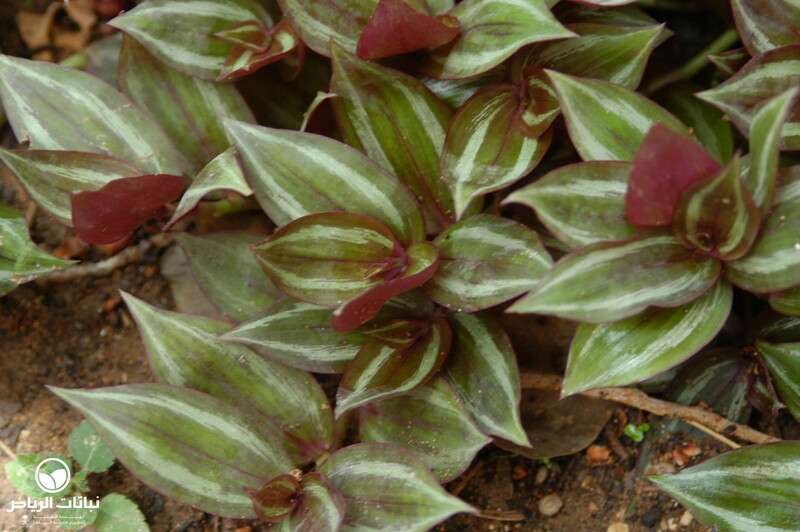 Hardy to 0°C, the plant does best in full sunlight to keep its colour intensity, but in Arriyadh does better in light shade. It prefers a good, fertile, well-drained garden soil, which retains moisture and should be regularly but moderately watered. Fertilising every few weeks is necessary during the spring and summer. Propagated by cuttings that root easily in water, this plant can be moved in situ, since its runners cling lightly to the ground. Good for mass planting, Z. pendula will hide the fallen leaves of trees and shrubs growing above. 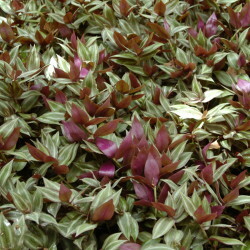 Some maintenance is necessary to contain plants, as they tend to become invasive. Misting occasionally with warm water and pinching out the tips will improve their appearance and make the plants more compact.